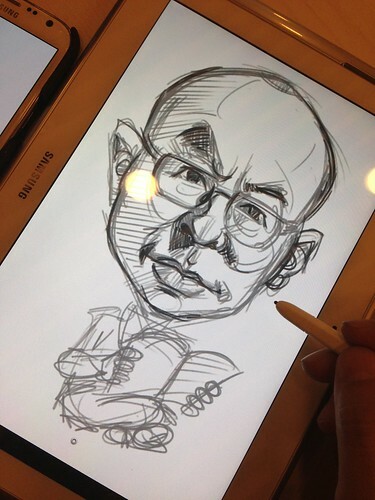 "....Our priority is quality of artwork and authenticity rather than cost....."
Did the following rough sketches while I was out, in a food court to save some time. 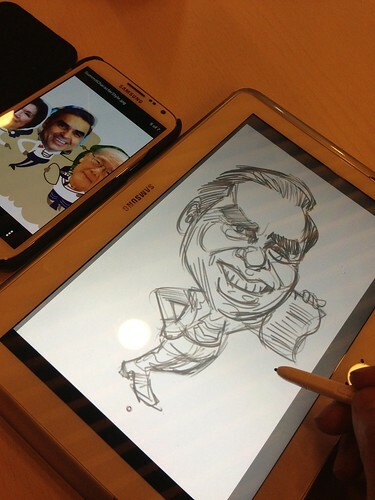 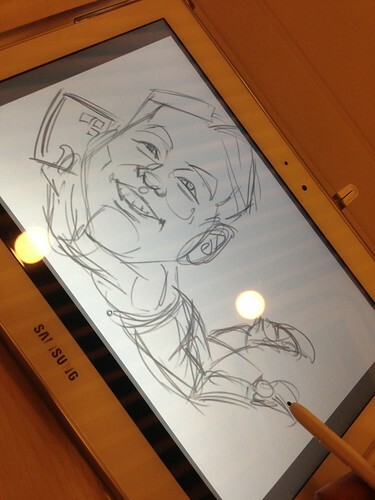 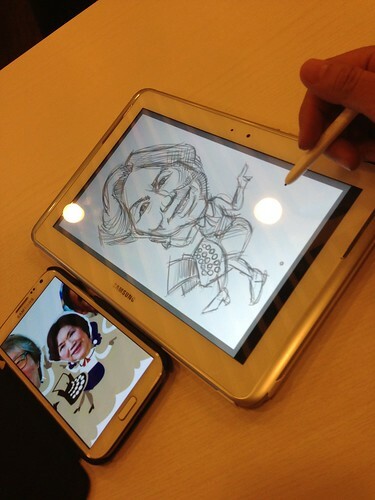 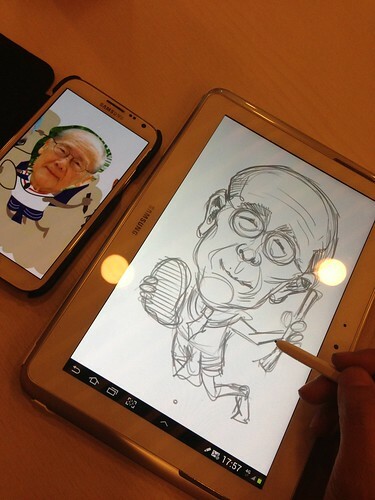 Love this Samsung Galaxy Note 10.1. 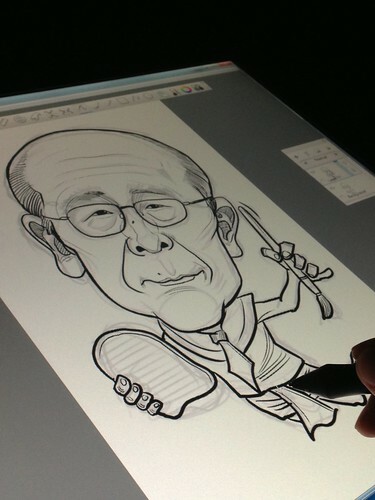 I am not bounded to desk, working on my Wacom Cintiq. 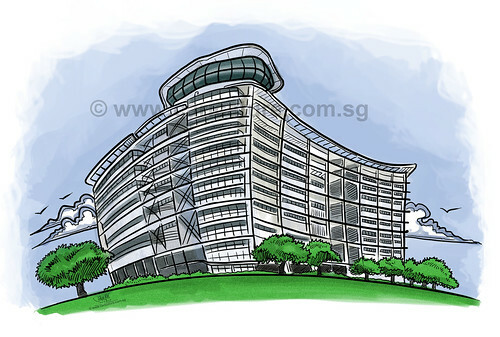 Next is to get this NLB building done up and piece the 6 subjects together. 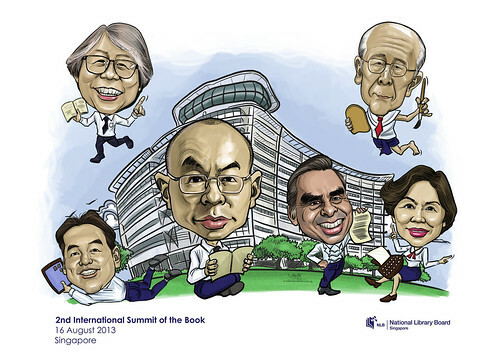 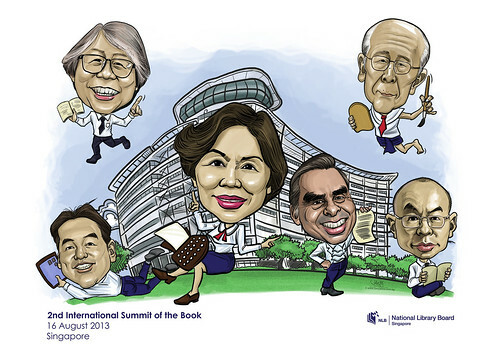 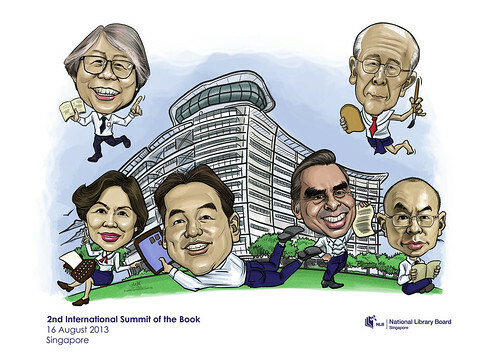 Added in the caption - "2nd International Summit of the Book" and NLB logo, with each piece highlighting one subject by increasing the size. 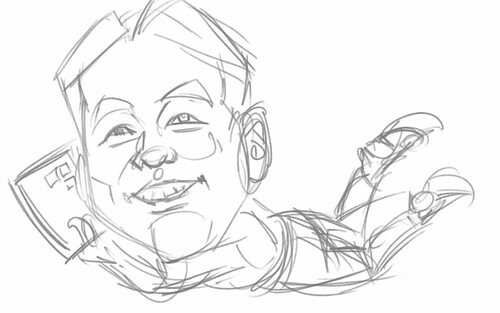 This is why drawing this digitally is teh way to go to cut cost. 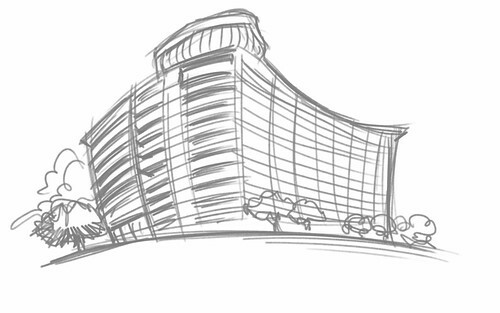 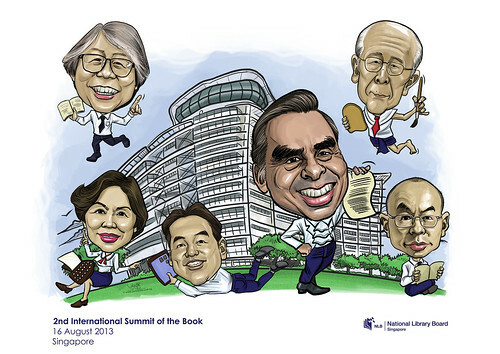 Imagine doing this traditionally on paper, I have to draw 30 faces and NLB building 6 times! 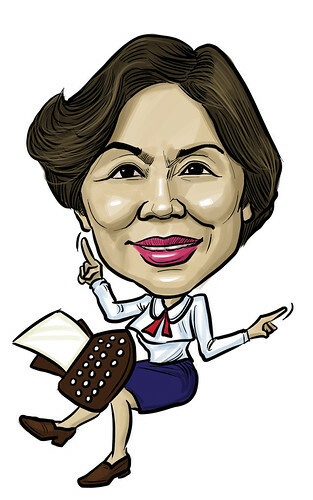 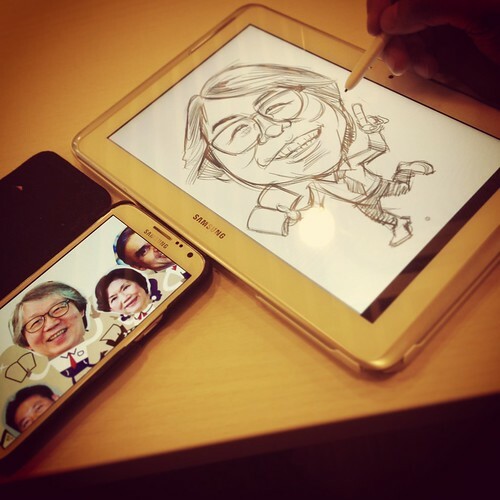 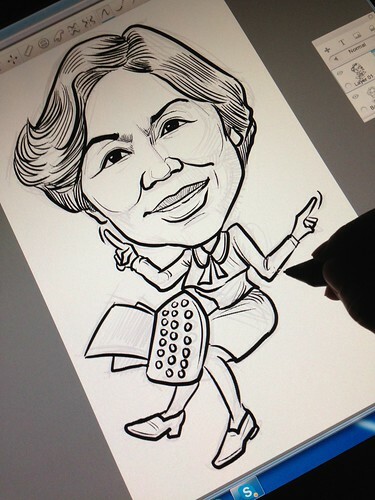 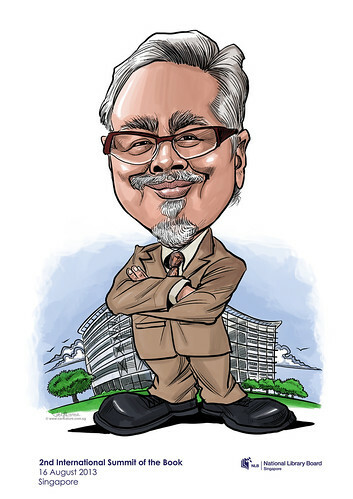 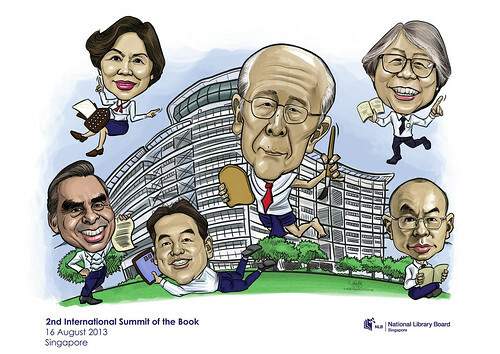 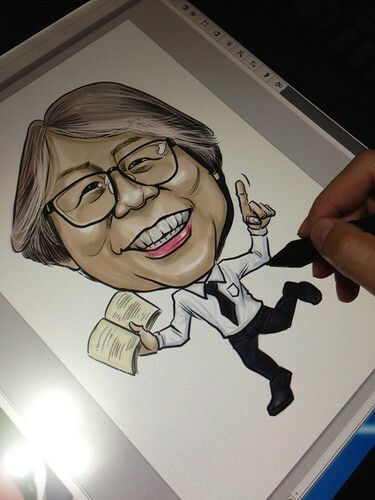 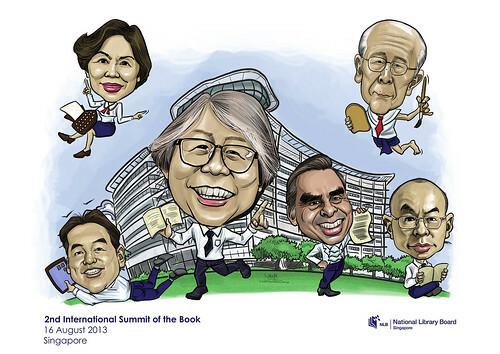 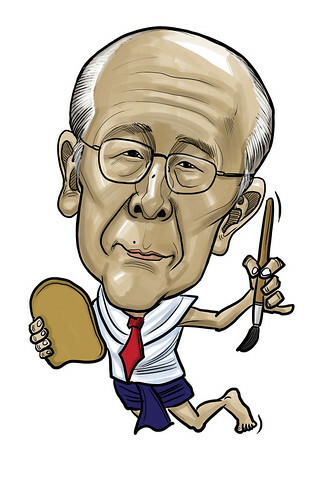 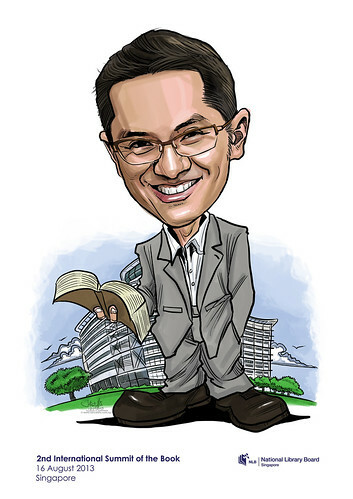 Last 2 individual caricatures with NLB building in the background, and I am done with this job! 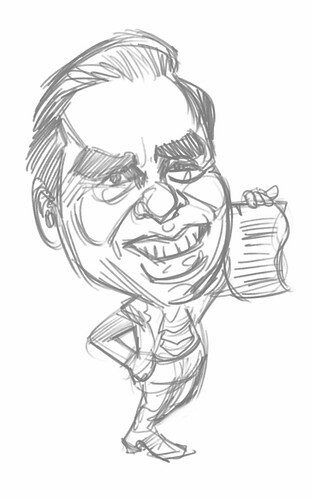 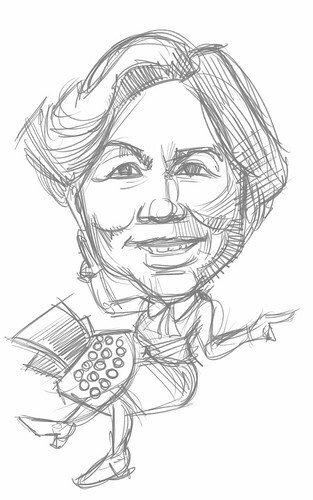 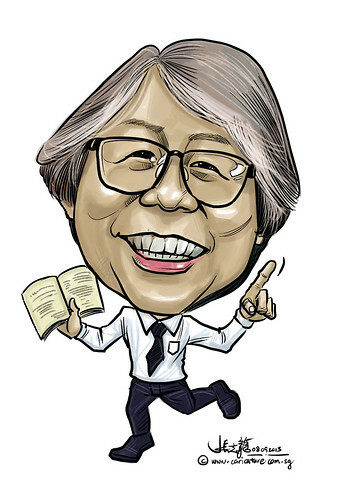 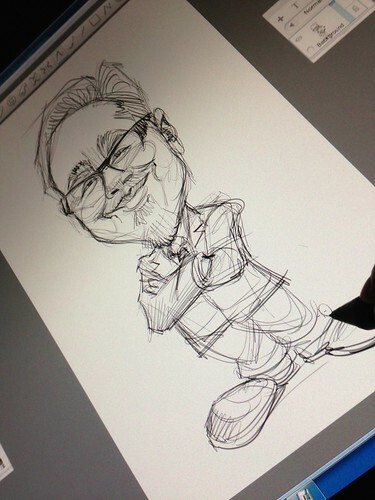 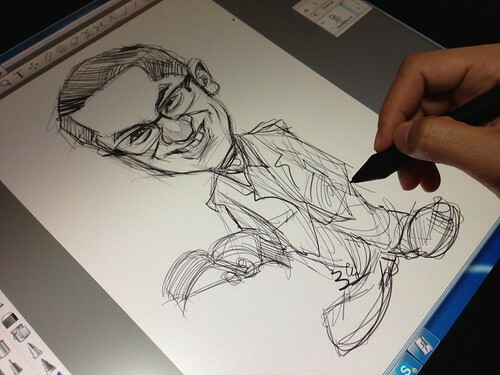 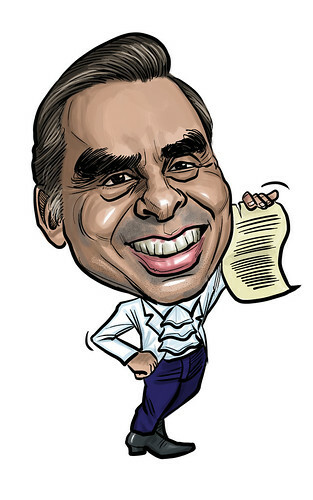 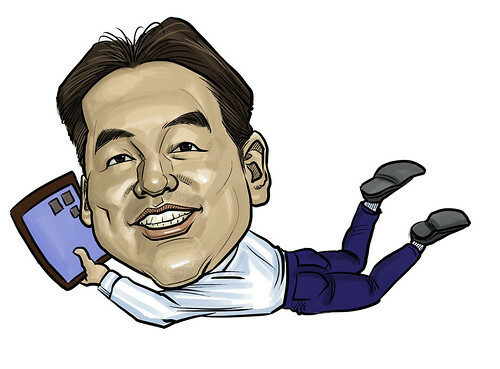 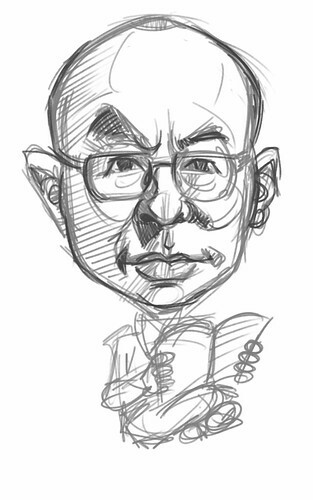 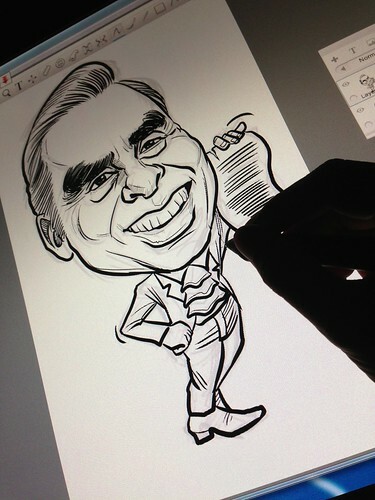 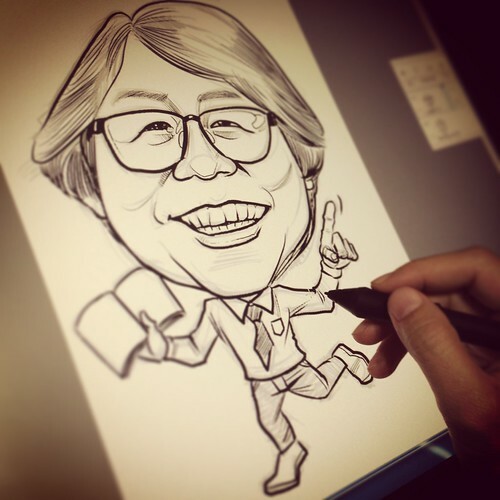 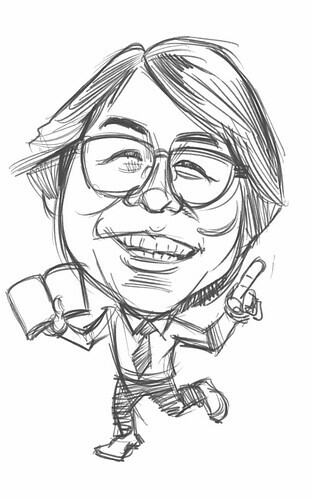 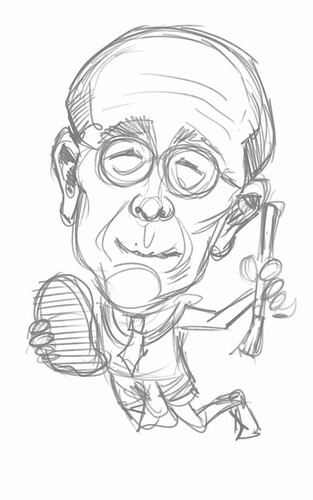 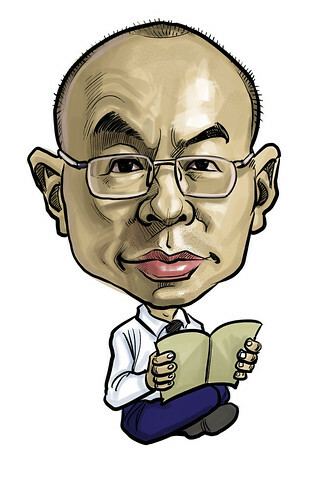 Just wanted to drop a note to let you know that the caricatures were very well received and there were a couple of requests for your contact..."